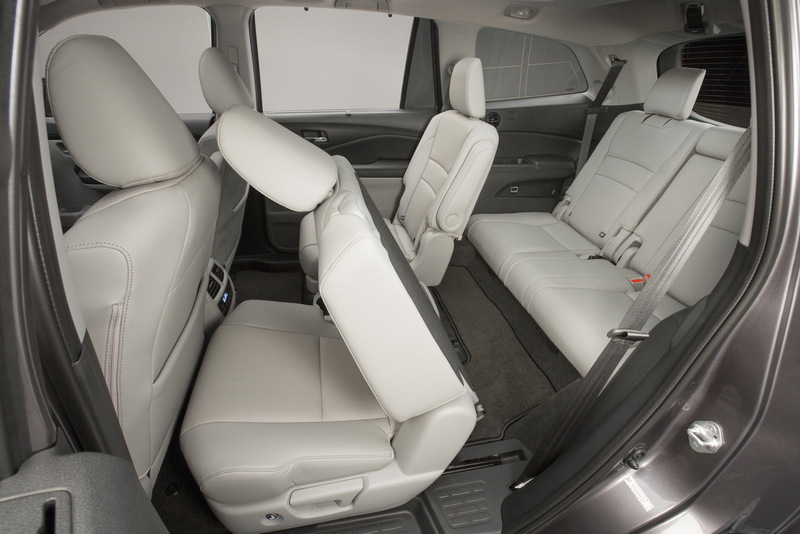 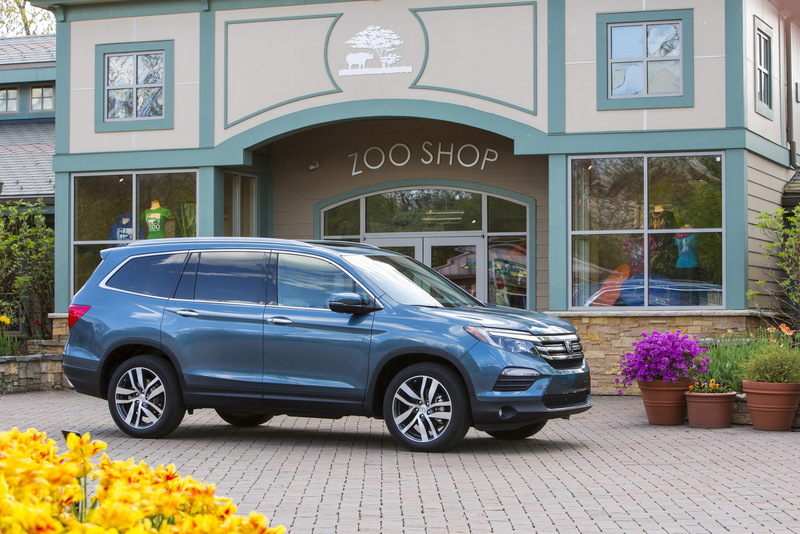 Honda’s popular Pilot seven-seater SUV is entering the MY2018 with a slight increase in price; now starting from $31,875, including destination and handling fees. 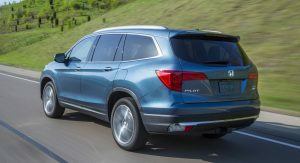 The three-row SUV remains pretty much unchanged compared with last year’s model, which already offers everything from a roomy cabin with clever practical solutions to a wide range of active safety systems and from a plush ride to a modern infotainment system with both Android Auto and Apple CarPlay. 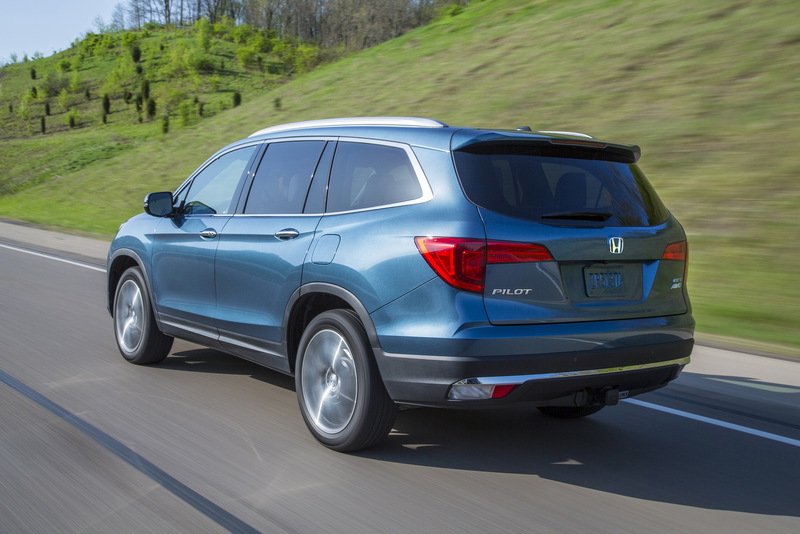 Power is still provided by Honda’s 3.5-liter V6 with direct injection and 280hp. 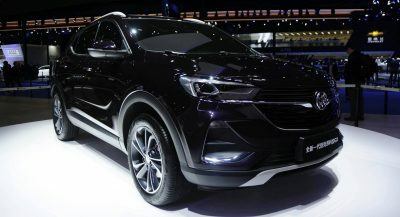 Cheaper models in the range get a six-speed automatic gearbox while the more expensive Touring and Elite versions come fitted with the nine-speed automatic unit. 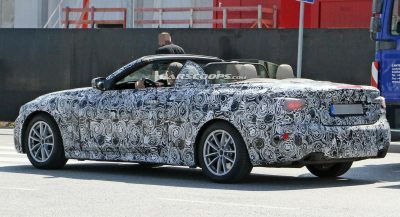 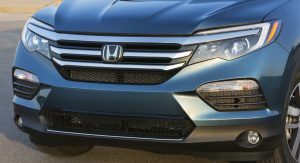 Front- and all-wheel drive versions are on offer, with fuel economy rated at 20/27/23 mpg for the former and 19/26/22 mpg for the latter. 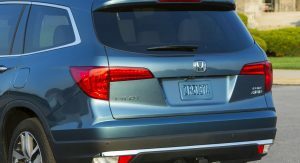 Honda’s Sensing suite bundles safety and driver-assistance systems together, including Collision Mitigation Braking system with Forward Collision Warning, Lane Keeping Assist, Adaptive Cruise Control and Road Departure Mitigation with Lane Departure Warning. 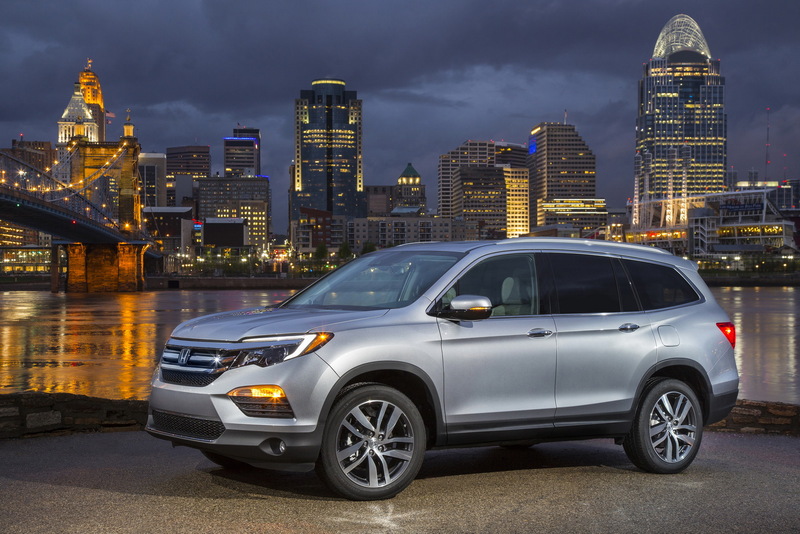 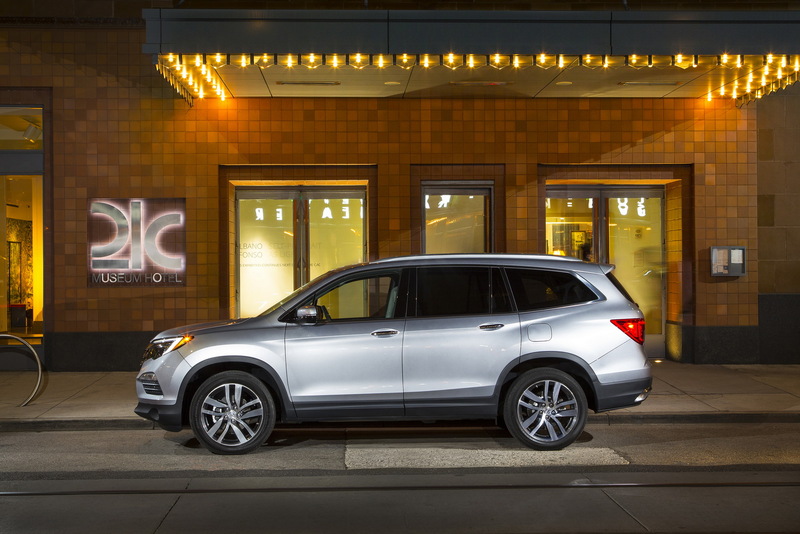 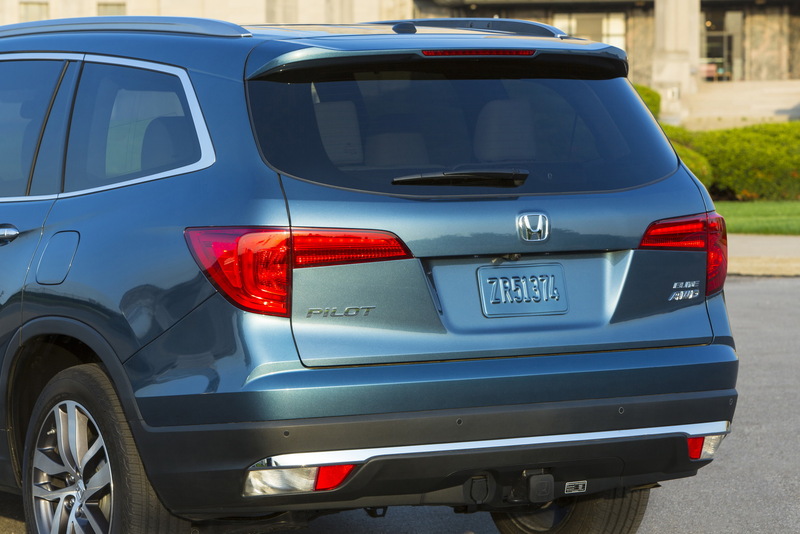 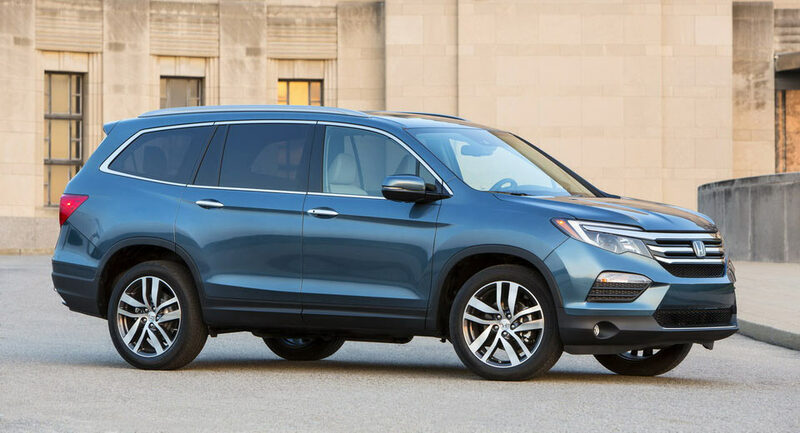 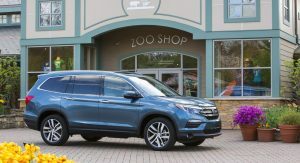 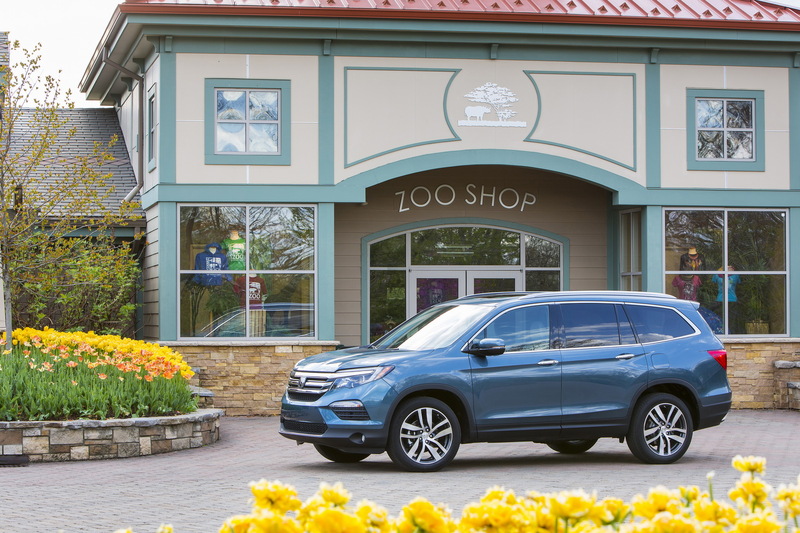 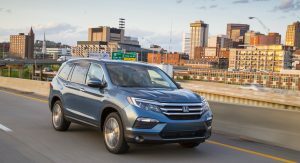 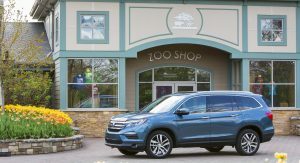 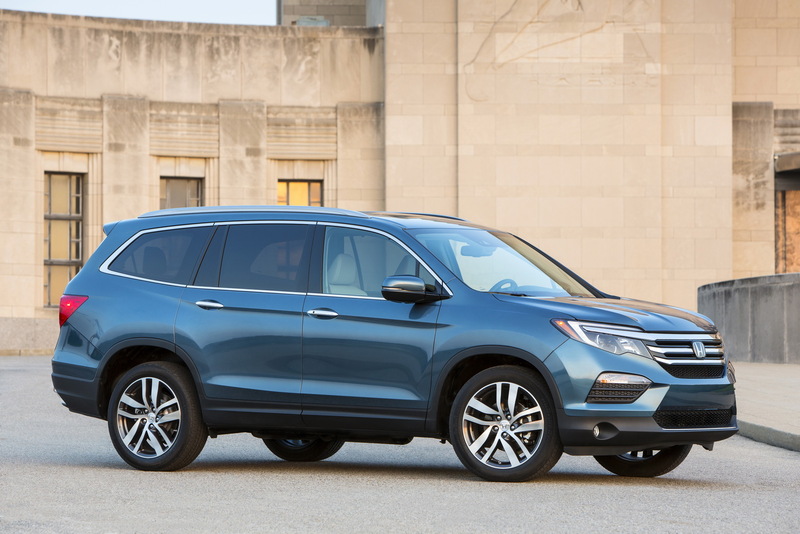 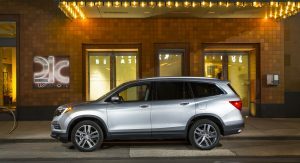 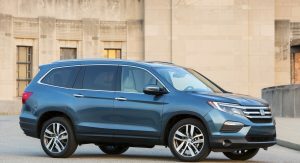 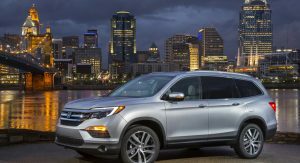 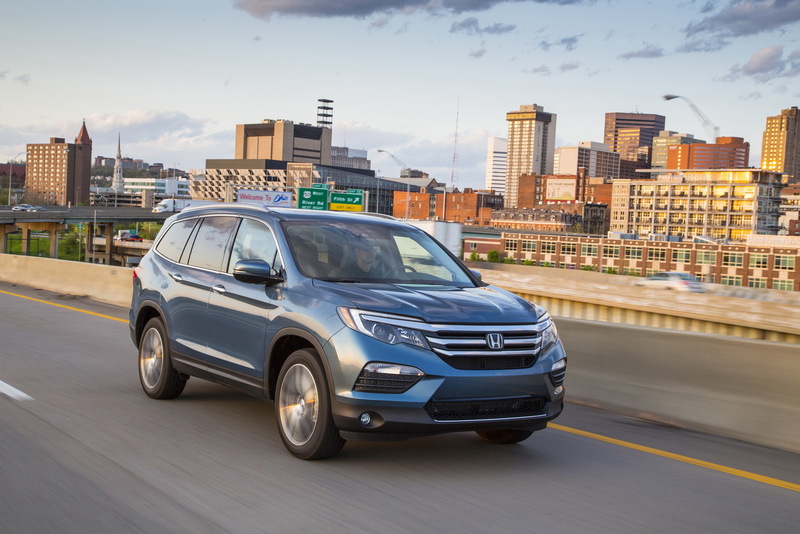 Sales of the 2018 Honda Pilot have already started, with the base front-wheel drive LX model priced from $31,875 (including destination and handling fees) and the all-wheel drive version asking from $33,775. 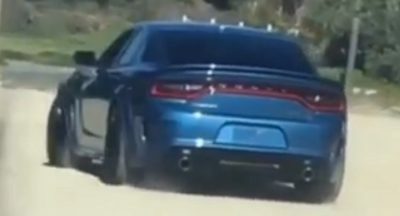 Damn, this looks really outdated!! 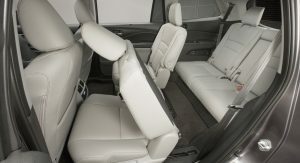 a very rental like car! 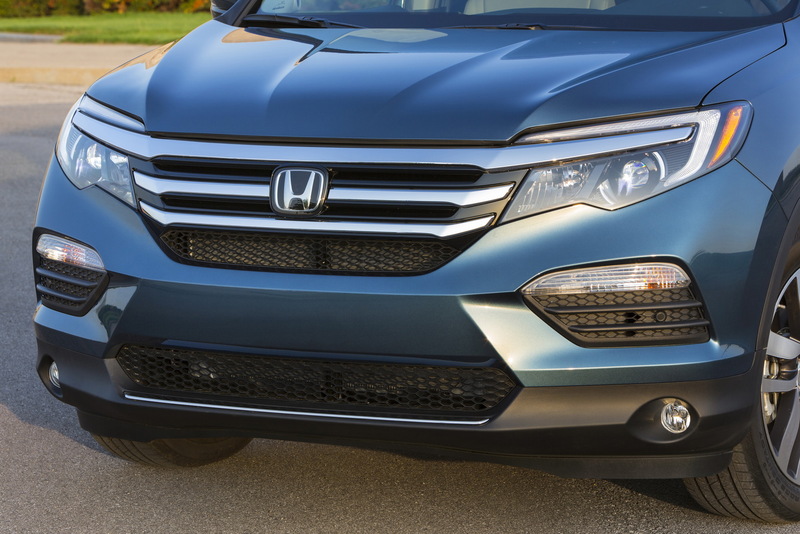 Isn’t it essentially an Odyssey with a lift kit, plastic cladding, and front-hinged rear doors? 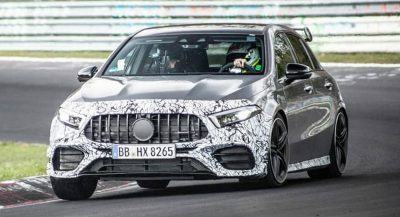 Next PostNext 2019 Mercedes-Benz CLS Won’t Spawn A Shooting Brake, But What If It Did?